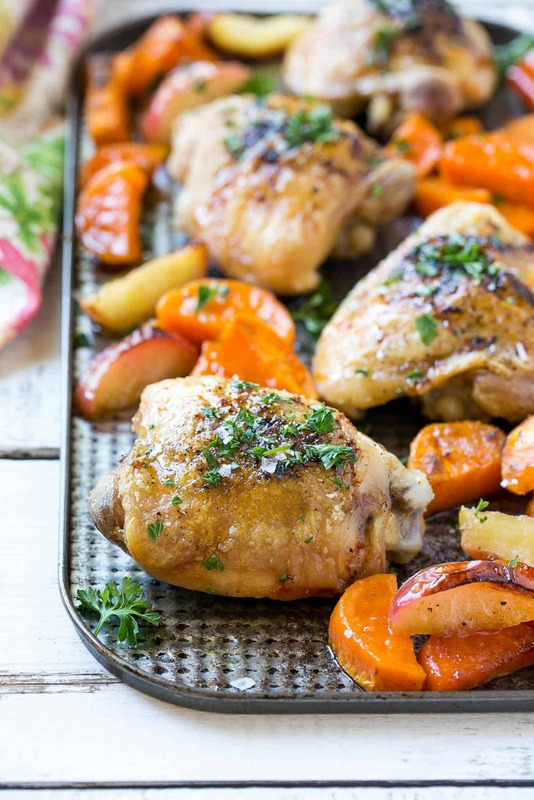 This Roasted Chicken Thighs with Maple Sweet Potatoes and apple recipe will blow your mind! The best part? An EASY one-pan meal that’s loaded with fall flavors and perfect for easy cleanup. 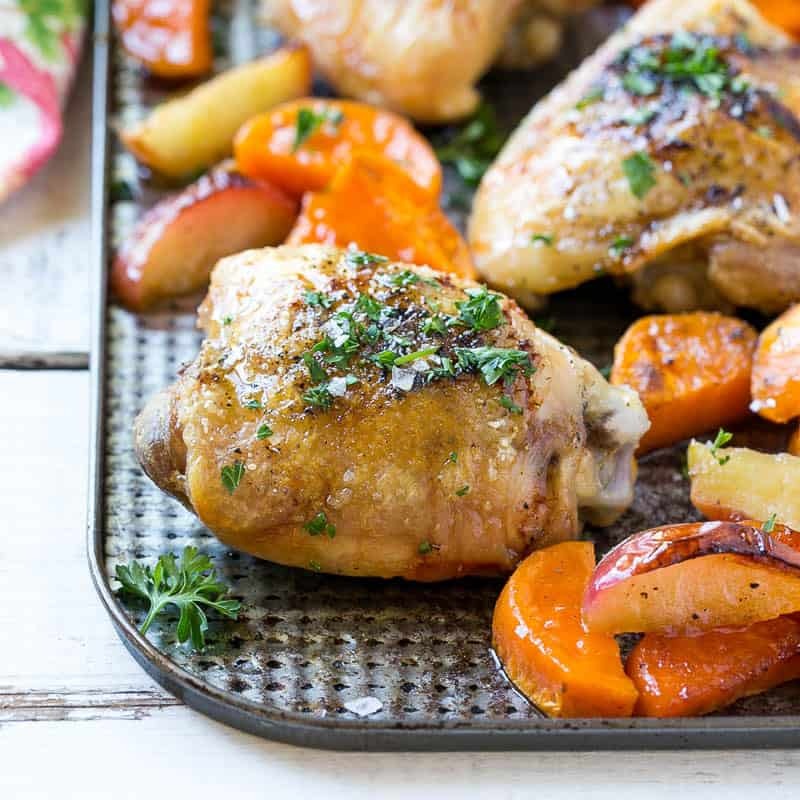 This roasted chicken thigh with sweet potatoes and apple recipe is perfect for fall. 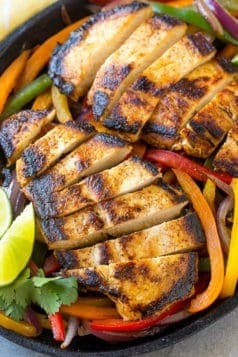 It cooks all in one sheet pan for easy clean up afterward. 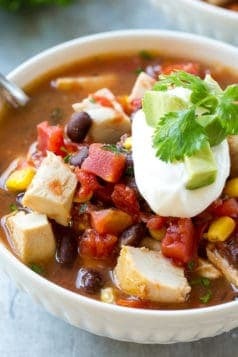 I love recipes like this as I can get back to enjoying my family quicker versus doing a ton of dishes. Do you roast a chicken covered or uncovered? It’s best to cook chicken covered at first so that the juices cook with the chicken and make it much juicier and flavorful. I didn’t cover this one sheet pan meal but you could if you choose to for the first 20 minutes and then uncover for the liquids to cook through and start roasting to a crispy consistency. My kids like to help put all the components in the pan. 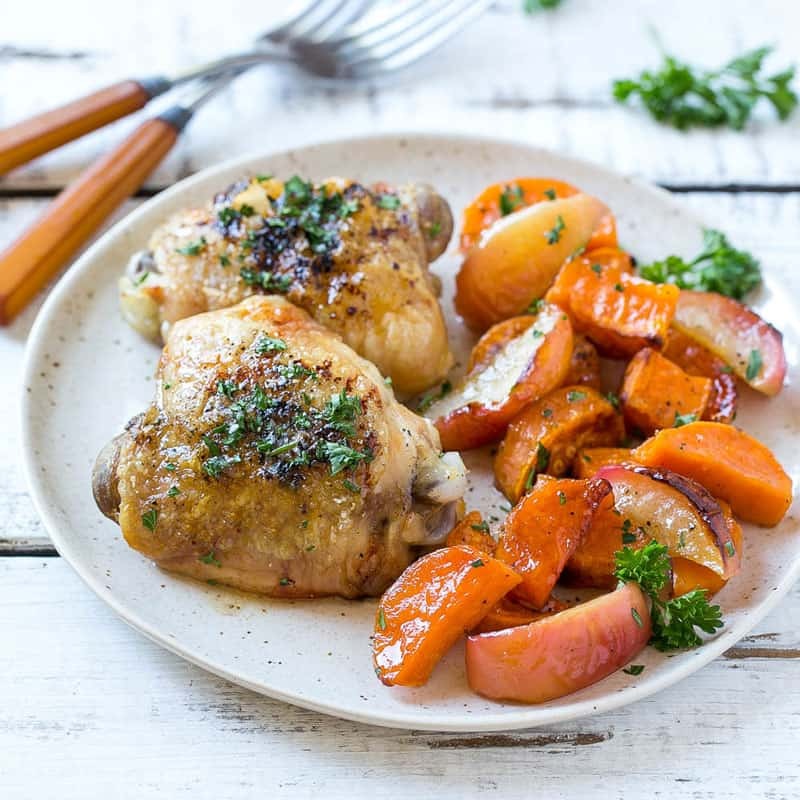 Adding sweet potatoes and apples to this chicken thighs recipe complements it perfectly. Honestly, this Roasted Chicken Thighs recipe is one of my all-time favorite recipes! 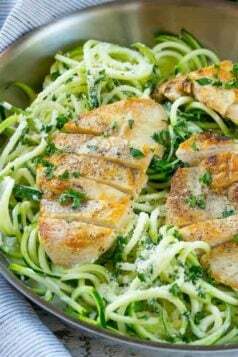 You could easily use chicken breasts instead of thighs if you like. How long does it take Chicken Thighs to cook? 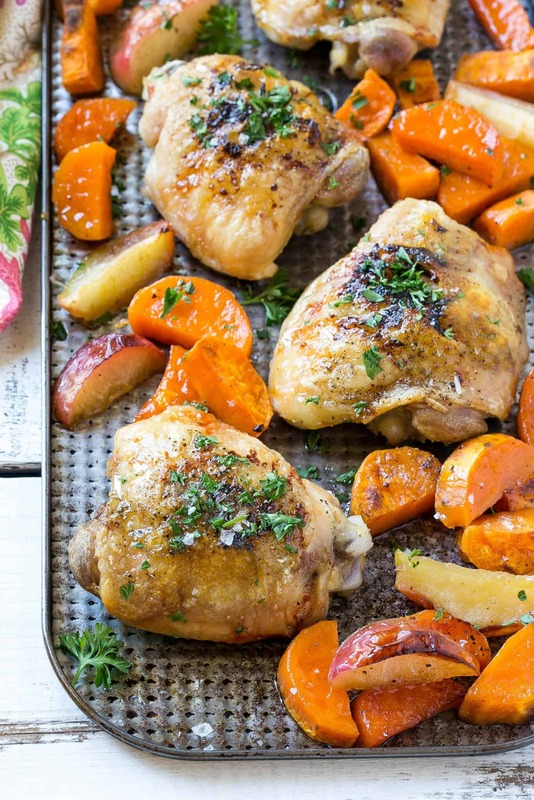 What are some of your favorite sheet pan meals your family loves? Share them with me below. If you make this Roasted Chicken Thighs with Maple Sweet Potatoes and apple recipe and you love it don’t forget to share it! Also, Tag me on Instagram so I can see your remake. An easy one-pan meal that’s loaded with fall flavors! Preheat the oven to 400 degrees. Line a sheet pan with foil and coat the foil with cooking spray. In a small bowl whisk together the maple syrup, olive oil, and salt and pepper to taste. 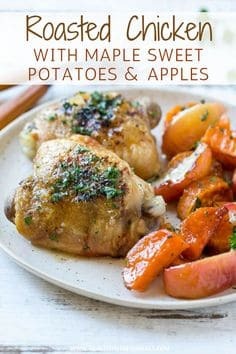 Place the sweet potatoes and apples on the sheet pan and drizzle with the maple syrup mixture; toss to coat. Add the chicken to the pan and season generously with salt and pepper. Bake for 45 minutes or until chicken is done and potatoes have started to caramelize.